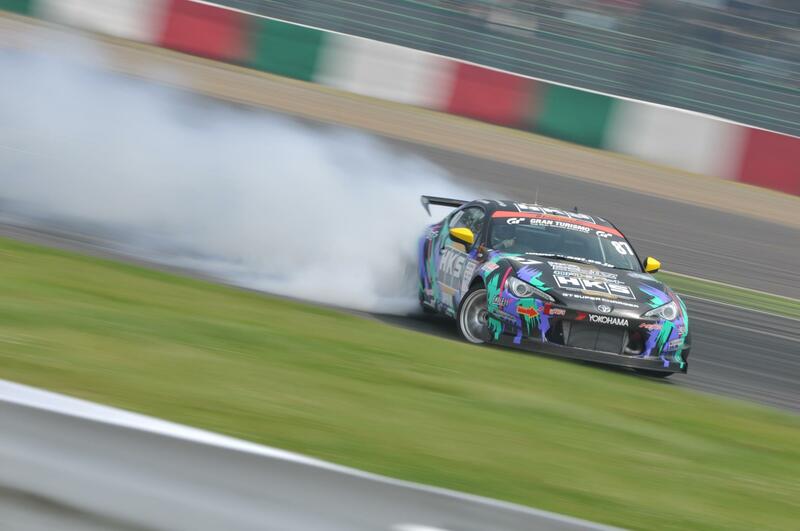 HKS Oil has been used by leading racing teams for many years now, especially in Japan. In fact it has been on the Japanese market for more than twenty years now and HKS Europe is bringing HKS Oil to the western world of Europe now. HKS Europe has therefore produced another one of their Product Line-Up videos describing the differences of the various grades and its applications. JDMTimes took a closer look at the various oils and lubricants from HKS. 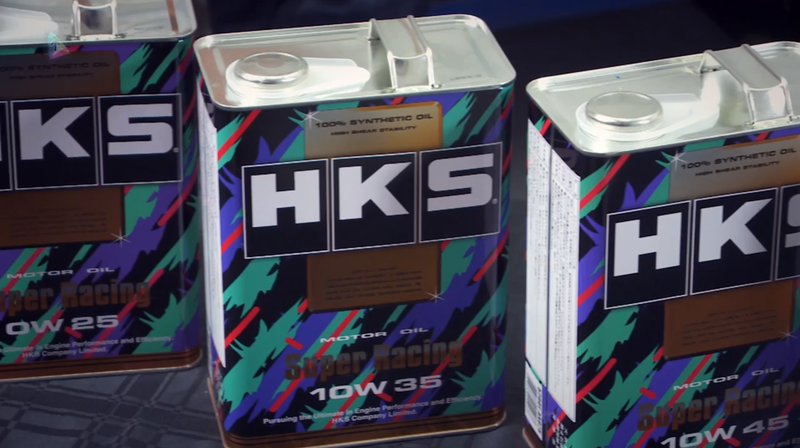 The HKS Super Racing Series is HKS’s entry level oil. It is available in the grade range of 0W 25 up 10W 55 for petrol and diesel engines in 1L, 5L and 20L assortments. 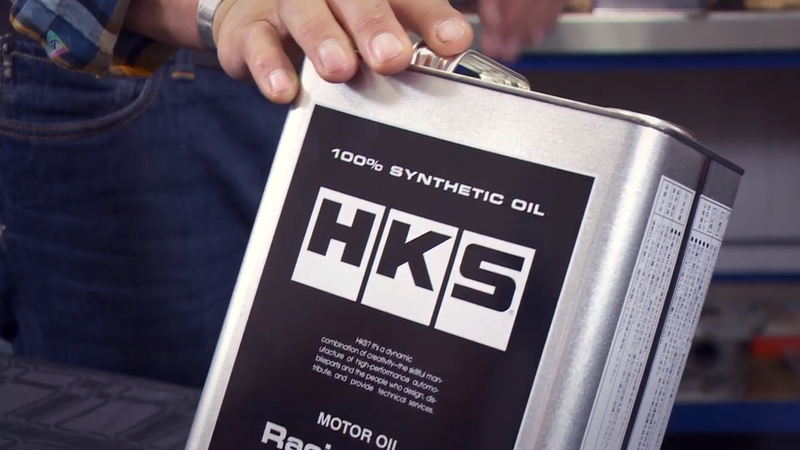 The remarkable unique painting, which has been used on so many HKS demo cars over the years, actually derives from this oil! 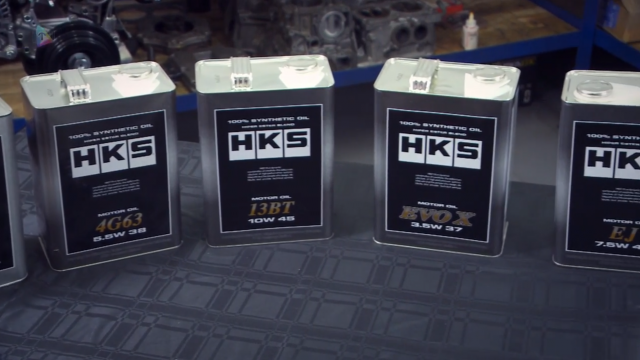 The HKS Super Oil Series describes HKS’s mid range oil suitable for the demanding customer. HKS looked at the different performance engine types available on the JDM market and developed various oil types with each engines unique requirements in mind. Higher revving engines, like Nissan’s RB26DETT, require a lower viscosity and thus the HKS Super Oil RB comes in 15W 55 specification. The HKS Racing Pro oil is a low friction oil with a viscosity level targeted at high temperatures as needed in a circuit environment. Read more about it on the official HKS page here. The HKS Premium Pro oil is an oil for professionals who blend their oil according to external requirements such as air temperatures on the racetrack. It is available in the two viscosity levels of 0W 20 and 20W 60. Read more about it here. Not covered in the product presentation is HKS’s Hybrid Sports Oil Filter. Specifically designed to increase oil flow and decrease the loss of oil pressure, the HKS Hybrid Sports Oil Filter is a must-have for every enthusiast. Besides engine oils HKS is also offering different kinds of gearbox and differential oils. The HKS Gear Oil G Series is available in a wide range of viscosities and should satisfy even the most demanding customer but also their dual clutch transmission fluid HKS DCTF-II should be of great interest for all the GT-R R35 and Lancer Evolution X drivers out there. The HKS lubricants line also covers a performance and racing brake fluid that exceeds the stock boiling point and should help you get down that Touge safely. 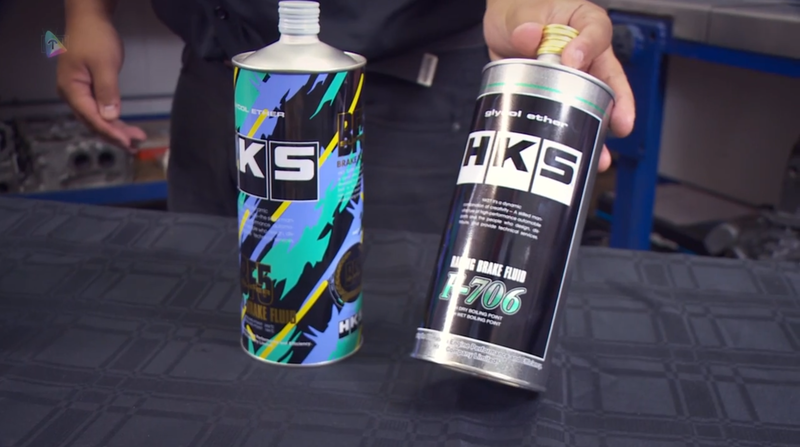 For demanding customers with an unusual high compression rate, HKS developed their octane booster and high octane gasoline which should help to decrease engine knocking. Last but not least the HKS fluid range features the HKS Direct Deposit Remover which helps keeping the valves, combustion chambers and spark plugs clean and free from deposits. HKS is offering a complete line-up of performance oils and lubricants to cover the needs of the enthusiast as well as the worlds renowned racing teams. 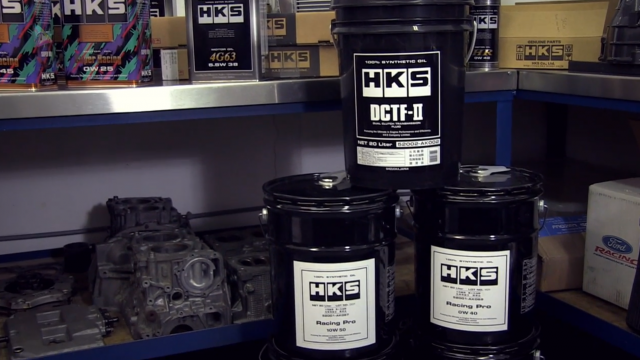 HKS understands the need for custom tailored products like the HKS Super Oil Series and comes up with solutions for emerging trends like the dual clutch transmission fluid, DCTF-II. HKS oils appeared in the Japanese domestic market more than 20 years ago and with its availability in Europe through HKS Europe, we hope for another twenty years to come! Besides here on JDMTimes.com, you can also find the HKS videos on their YouTube Production Channel here, as well as on their official media page here. HKS was founded in Japan in 1972 as an automobile engine tuner and performance parts manufacturer. It is nowadays one of the biggest manufacturer of JDM tuning parts with a diverse range of parts including turbo chargers, intercooler kits, camshafts, exhaust systems and performance electronics. Visit their official website here.